HEALTH officials are hoping recent legislation changes regarding unvaccinated children no longer being able to enrol in child care will help save young lives. This means principals of child care centres cannot enrol children if the required documents are not provided to show their vaccination history. Director, Public Health Unit, Northern NSW Local Health District, Paul Corben said the North Coast Public Health Unit continues to work towards increasing immunisation rates in the Northern Rivers area, in line with the overwhelming scientific evidence that vaccination is safe and effective in preventing disease. "While it is too early to assess the impact of the legislative changes that came into effect on January 1, 2018, the latest Australian Immunisation Register report shows that in 2017, 89.5 per cent of children aged five years and 89 per cent of 12-month olds were fully vaccinated in the Northern NSW Local Health District," he said. "From April 2018, children between six months and under five years old will be eligible for free influenza jabs, following an additional NSW Government investment of $3.5 million to the state's $19.5 million vaccination program." Mr Corben said by immunising younger children, those more vulnerable in the community will also be protected, including babies too young to receive a flu vaccine. "The PHU has been working collaboratively with North Coast Primary Health Network to optimise uptake of vaccination through general practice and Aboriginal Medical Services and inform their local communities of the safety and benefits of vaccination," he said. 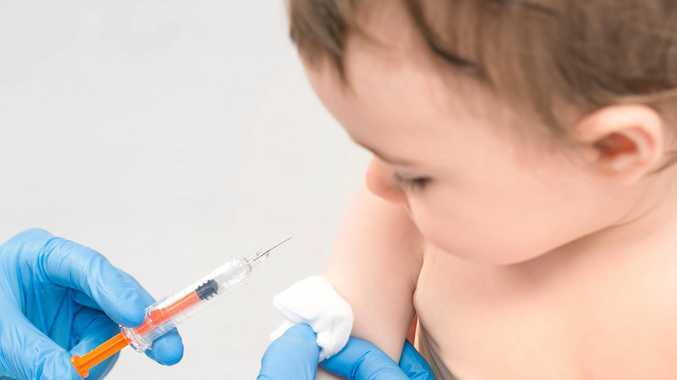 A Northern Rivers childcare centre director who requested anonymity said the parents of most new or existing enrolments were in favour of the new vaccination laws. "Our parents like the new immunisation laws because their child is protected," the director said. The influenza vaccination is not part of the assessment of "fully vaccinated" children at this time. Mr Corben said in addition, $1.75 million has been invested into NSW Health's influenza and immunisation awareness campaign this year, which will also provide parents and GPs with details about the new free influenza vaccine program. Late last year a pilot program to flag the immunisation status of children was launched at Nimbin hospital. The initiative was one of the outcomes from an investigation by the Northern NSW Local Health District after a seven-year-old Nimbin girl nearly died from tetanus in March 2017.